Your big night out, sorted. Fashion is something that should be expressive, an open reflection of a person and we should embrace everyone’s different tastes. Unless that taste includes Crocs. The foam shoe company, beloved by gardeners and, well no one else really, have introduced an addition to their traditional ‘clog’ style shoe. 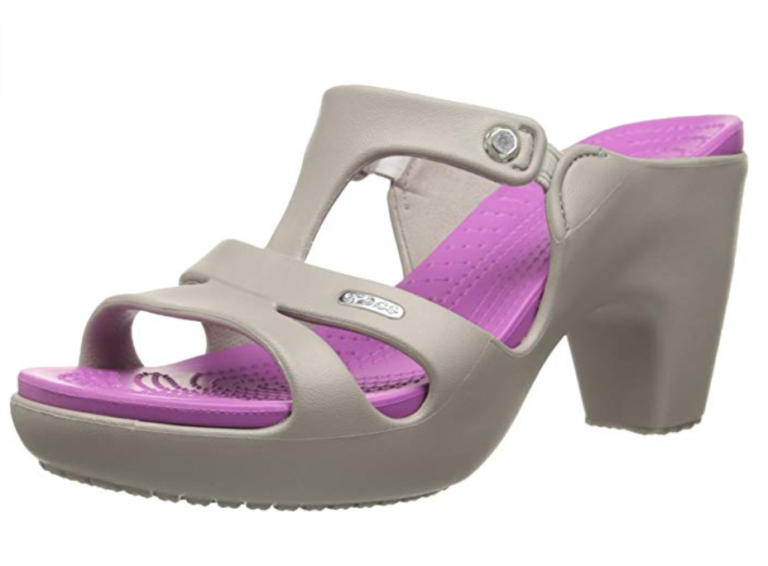 Introducing the Crocs high-heel, perfect for your big Friday night, your next big business meeting, your wedding and everything in-between. 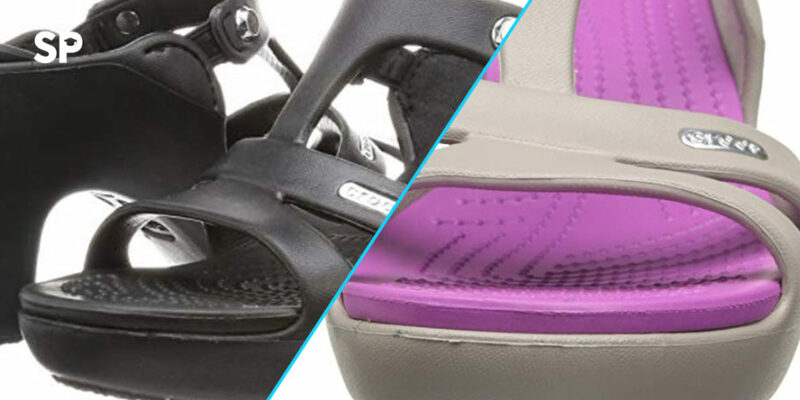 The ‘Crocs Cyprus V Heel’ offers up a sensible 2-inch platform and retail on Amazon at a less-sensible $223.57 in either grey or black. That being said, clearly there is a target market for the product as the grey edition has nearly completely sold-out. I’m not sure how I feel about that. Fear not though, the black is still available in a wide-range of sizes. Despite being dubbed the ‘ugliest shoe ever’ by large chunks of the fashion industry, it hasn’t stopped a number of high-profile brands creating extravagant adaptations of the footwear. London-based designer Christopher Kane debuted a Croc bedazzled in precious gems at New York fashion week in 2016. 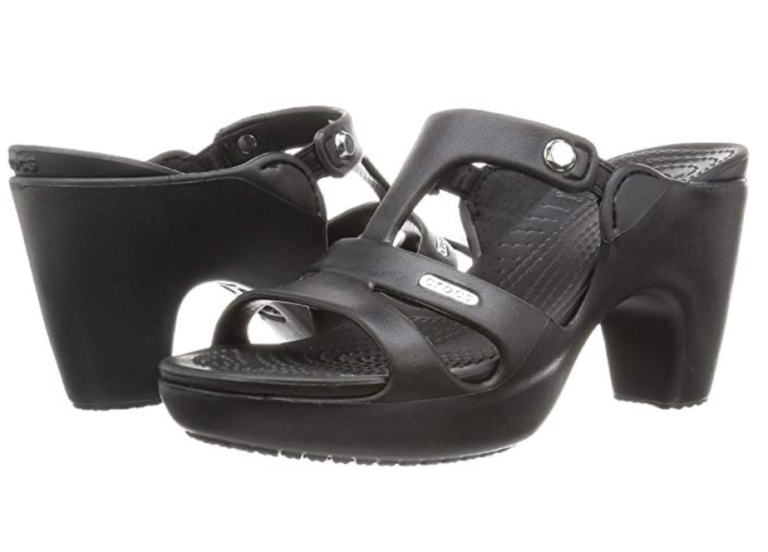 And how could we forget Balenciaga’s Croc-inspired, $850 platform clog, which sold out before it hit stores last year. Struggling for outfit inspiration for your next big night out? We like to think we’ve sorted you out in that department with these beauties.